Having got the city’s most exciting new dining experience off to a flying start, head chef Lee Clarke has now created an enticing offer for lunchtime visitors to Prévost – one he sees as particularly appealing to business diners. For £32.50, diners can sample Prévost’s unique dishes with a three-course menu plus mineral water, an extra-large glass of wine and tea or coffee. 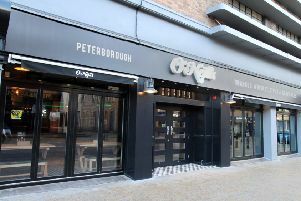 Set in the former Flyers Club on Priestgate, the restaurant opened in late April to critical acclaim. Prévost’s innovative tasting menus range from three to nine courses, and all produce is sourced as locally as possible. Lee said: “I’m thrilled with the reception that Prévost has received – people are really positive about the different tastes we have created. “We want to open the experience up to a lunchtime audience and are already attracting people for business lunches and those looking for something a little bit special. Open plan and serving just 28 covers, almost all tables offer a view of Lee cooking.